Knowledge to the present day informs us that the first of the generations began with a Timothy O’Dowd. Timothy started a long line of generations (6 to date). From the early 1900’s the business consisted of a pub, grocery shop, hardwaring essentials and a shoe-making business. In the early 1970’s the establishment became exclusively a pub and has continued since. 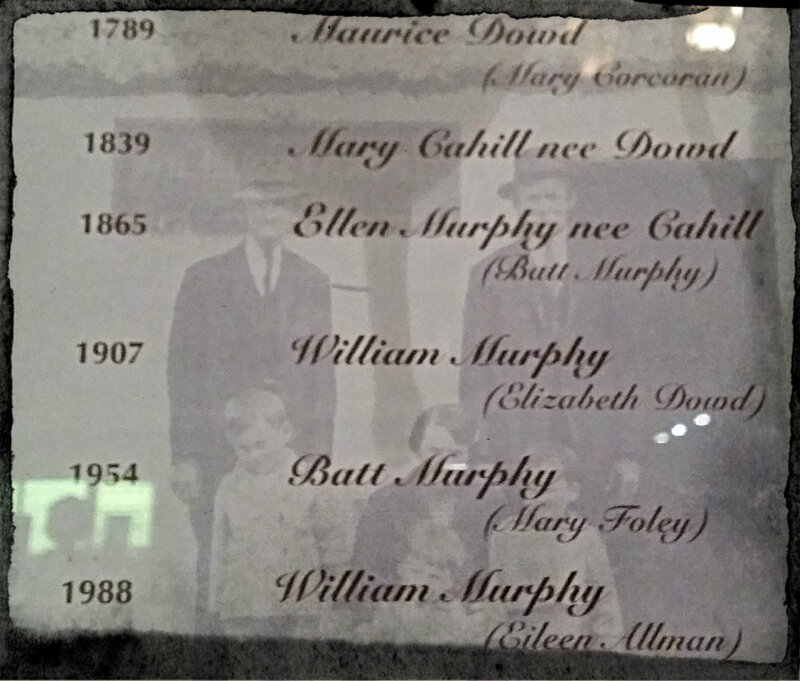 The pub as it is today was renovated in 2001 by present owner (6th generation) -William Murphy – (4th generation Murphy).